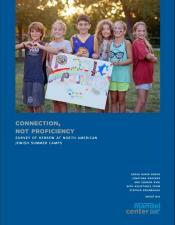 In what ways do the social, cultural, and educational characteristics of the settings in which children learn Hebrew promote or impede their learning? 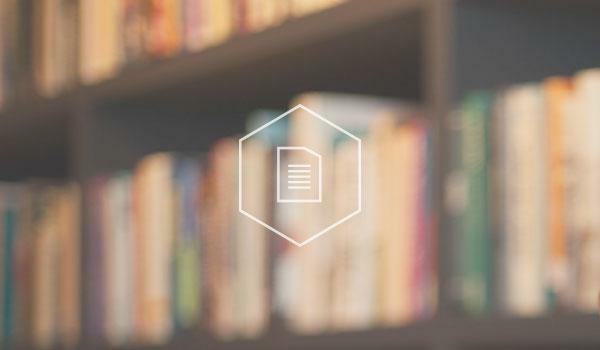 Despite decades of major investment in Hebrew language education in North America, scholars in the field still have only a vague sense of the drivers, nuances, and outcomes of the effort. 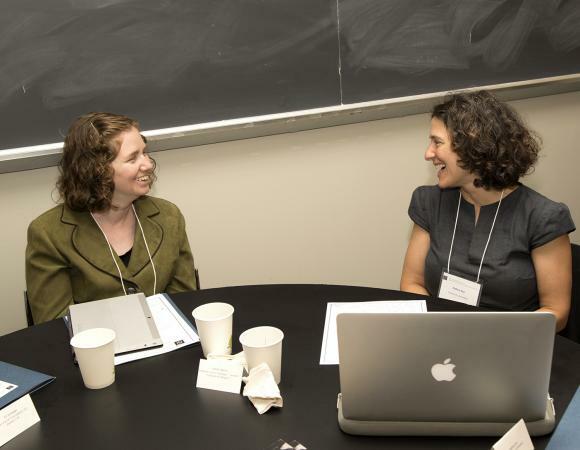 What motivates North American Jews to learn Hebrew? 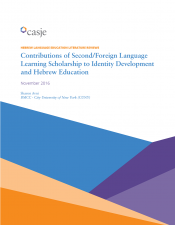 How do Jewish identity and views on Israel relate to Hebrew language learning? 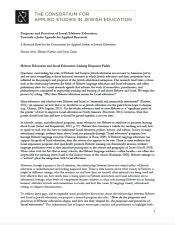 What can we learn about Hebrew language acquisition in different contexts over time? How should Hebrew be taught, and by whom? 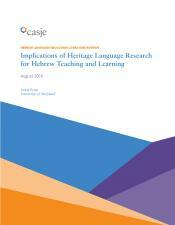 CASJE's three-part literature review series on Hebrew education explores what recent research about heritage, second, and foreign language learning means for the teaching and learning of Hebrew. 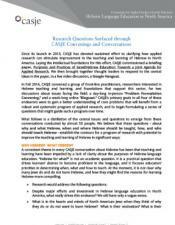 These reviews followed a prior convening of front-line practitioners in Hebrew language education, researchers interested in Hebrew teaching and learning, and foundations that support this sector, for engaged discussions about issues facing the field. 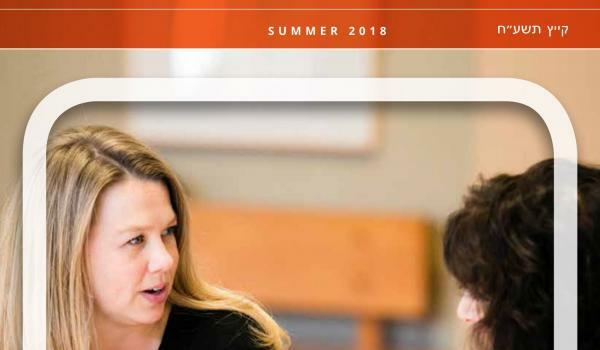 CASJE continues to gain a better understanding of core issues that might benefit from a systematic applied research program, and to begin formulating a series of questions that might guide such a program over time. 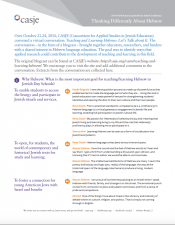 Without understanding if and how Hebrew language indeed shapes the emotional and intellectual growth of our learners or how Hebrew proficiency impacts their Jewish beliefs and behavior - we will not be able to create the best pedagogy to teach it - as well as to shape the ideal Hebrew language educator.